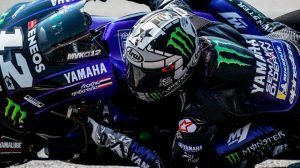 Yamaha has Lost a Great Rider – Marc Márquez was close to having Johann Zarco as a teammate. 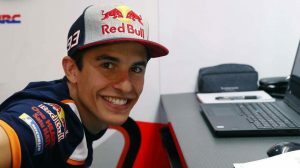 As confirmed by David Emmett, one of the most reputable journalists in the paddock, the Repsol Honda Team had made an offer to the French rider to have their services for the next two years, but the bi-world champion of Moto2 opted for the Red Bull KTM Factory Racing: Wants to reach the level of #93 and see how far he can go with the Austrian motorbike. Before this signing was announced, Johann had become one of the big candies of the transfer market. His excellent performance on the satellite M1 contrasts with the lack of sensations of the official Yamaha riders, and Márquez himself believes that this difference in results could be due to the style of riding: “Johann has a different style, maybe a little more similar to Valentino that to Viñales, but if they can not give an answer … As an external observer, I can say that, definitely, Yamaha has lost a great rider”. Although Zarco is a dangerous rival and occupies the second position in the championship, to Marc’s 12 points, the Spaniard is cautious about other opponents. “These first races have been very strange, it’s all gone, Zarco is very strong, but I look carefully at Dovizioso: yesterday was fast and will be for the whole season, I also watch my teammate and the two official Yamaha “, he explained to GPOne after finishing the Jerez test, held on the Monday after the Grand Prix. In these tests, HRC focused on testing several aerodynamic solutions that can help at Le Mans, a track with significant accelerations, but did not draw too many conclusions: “The ideas are not yet 100% clear, in this season we only have the possibility to approve a new fairing and, therefore, we have to make sure we choose well, we have to test other circuits. ” Next Thursday will work Mugello, another test that can confirm the feeling and the results of these new fairings. After winning in Jerez, a stage where he did not win since 2014, Marc Márquez will face the French Grand Prix as leader of the general classification. 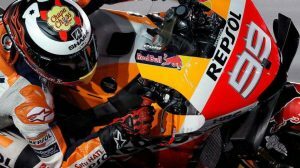 The Repsol Honda rider has not been on the Le Mans podium for the last three years, with two falls in 2016 and 2017 included, and will seek the win in a campaign in which he has stood out as an indisputable reference.